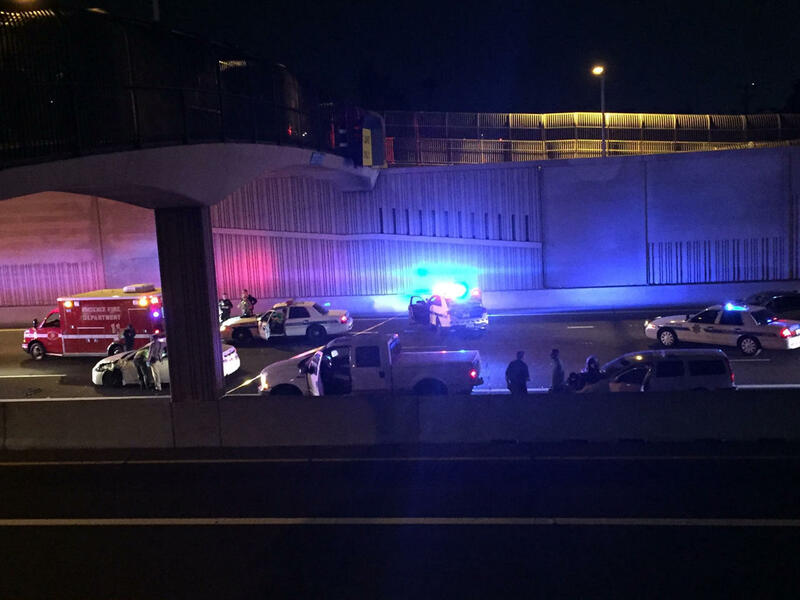 A woman has died after being shot in the head while driving on a Phoenix freeway Wednesday night, reports the CBS affiliate there, KPHO-TV. Phoenix police Sgt. Jonathan Howard told the station three men in a white, work-style pickup truck with ladder racks were chasing the woman as she went from Interstate 10 to State Road 51 at about 7 p.m.
She was then shot while on the phone with 911, and crashed her car along the center divider, Howard said. The victim was taken to the hospital in extremely critical condition, and later died, KPHO says. The pickup truck hasn’t been found, Howard said. It appears there were two to three crashes involving four vehicles that were related to the shooting, police said. Two people from the related crashes were brought to the hospital, Howard said. Police told CBS News the shooting doesn’t fit the pattern of the recent string of highway shootings in the Phoenix area and the motive is a complete mystery so far.